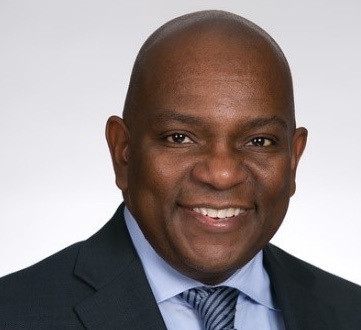 Lyneir Richardson is the Executive Director of the Center for Urban Entrepreneurship and Economic Development (CUEED) at Rutgers University-Newark in Newark, NJ, where he leads capacity-building programs that have assisted over 400 entrepreneurs. Since 2013, he has been a Professional Practice Instructor in the Department of Management and Global Business at Rutgers Business School, where his commitment to teaching, advising and coaching students intersects with his entrepreneurial experience and his passion for equitable economic development. Lyneir is also CEO of The Chicago TREND Corporation, a social enterprise startup working to stimulate, foster and invest in retail development to strengthen city neighborhoods. TREND was launched in 2017 with $7M of funding from two prestigious impact investors. By closing investment deals, securing additional funding and developing the firm’s project pipeline, Lyneir is leading TREND out of its pilot phase, with the goal for the firm to be profitable by the end of 2019. Lyneir has served as Chief Executive Officer of the primary economic development corporation in Newark, NJ, for two different mayoral administrations. He was Vice President of Urban Development at General Growth Properties, Inc. where he led the national initiative to bring quality shopping centers to ethnic neighborhoods in large U.S. cities. Early in his career, Lyneir founded his first company and was named a U.S. Small Business Administration "Young Entrepreneur of the Year" while in his 20s. Lyneir started his career as a corporate attorney at the First National Bank of Chicago. Lyneir graduated from Bradley University and the University of Chicago Law School. He serves on the Board of Directors of the International Economic Development Council, New Growth Innovation Network, Newark Arts Council and the Cook County Land Bank. He has served as Vice Chairman of the Illinois Housing Development Authority Trust Fund Board and as a Commissioner on the Chicago Plan Commission.